This single 20-round box of Magtech .380 ACP 85 grain JHP (jacketed hollow point) ammo is perfect for putting in your safe to ensure you always have a good box of self-defense ammo available. But it’s also great for feeding your favorite .380 a meal bound to leave both of you looking for more ammunition of the same quality. Of course, you can always order multiple boxes. Good quality at reasonable prices isn’t a surprise when you consider the steps Magtech takes when manufacturing ammunition. The Sao Paulo, Brazil-based plant has been operating since 1926, giving their stellar team nearly a century to fine-tune their craft. Components are made on-site and assembled to meet SAAMI or CIP standards. 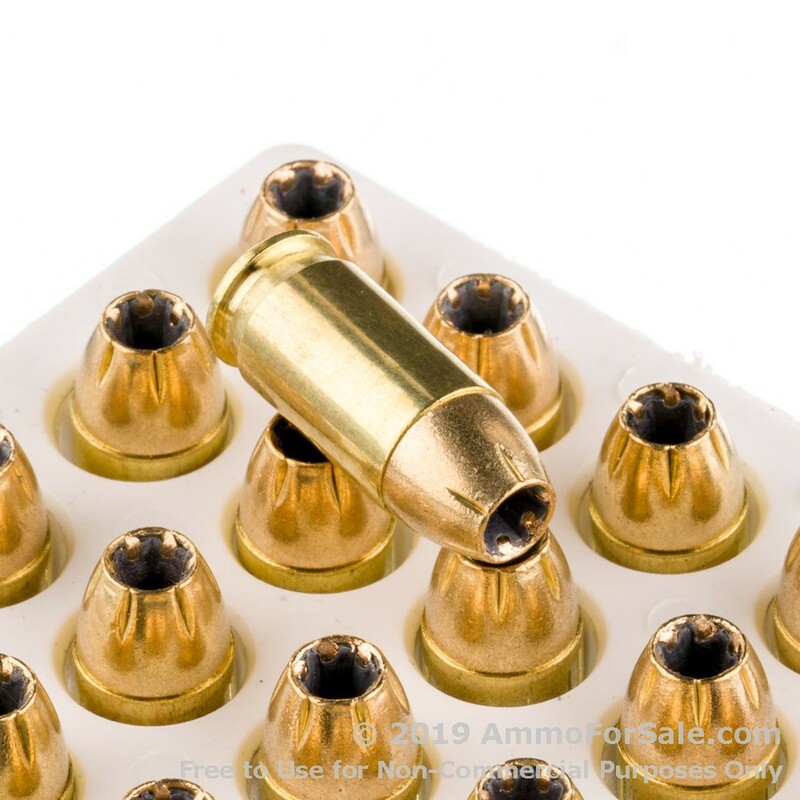 They advertise all components as “factory fresh” and the brand-new brass cases used on all their ammunition ensures reloading capabilities while boxer priming makes the process simpler. Magtech’s ammunition is carefully crafted and designed to keep your gun cleaner and cycling without issues. 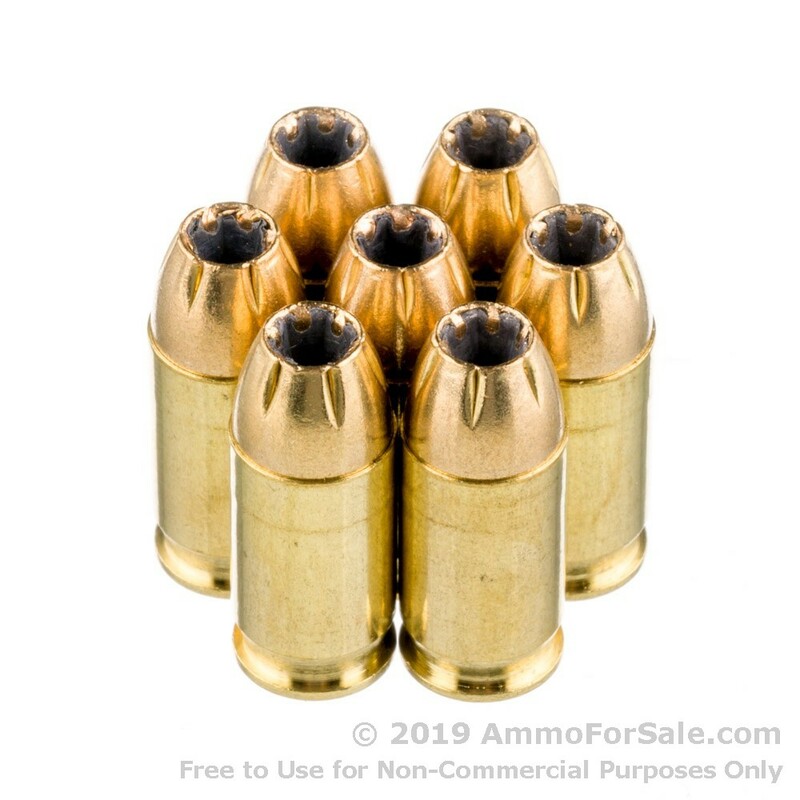 This particular ammunition is designed as a self-defense round for .380’s, and has a muzzle velocity of 951 feet per second and muzzle energy of 191 foot-pounds. That combined with the fact that they’re quite light at 85 grain means these rounds are a bit quicker than many .380’s and should travel on an even trajectory. Regardless of manufacturer, .380 works better at closer ranges, but with these JHP rounds, your gun will have some nice knock-down power. The jacket helps moderate the rate at which they expand, which is great for you and decisively damaging to your target. If you’re going to carry a gun for self-defense, you need hollow points. With these Magtech rounds, you can be confident you’re giving your gun a meal it can use for good stopping-power. 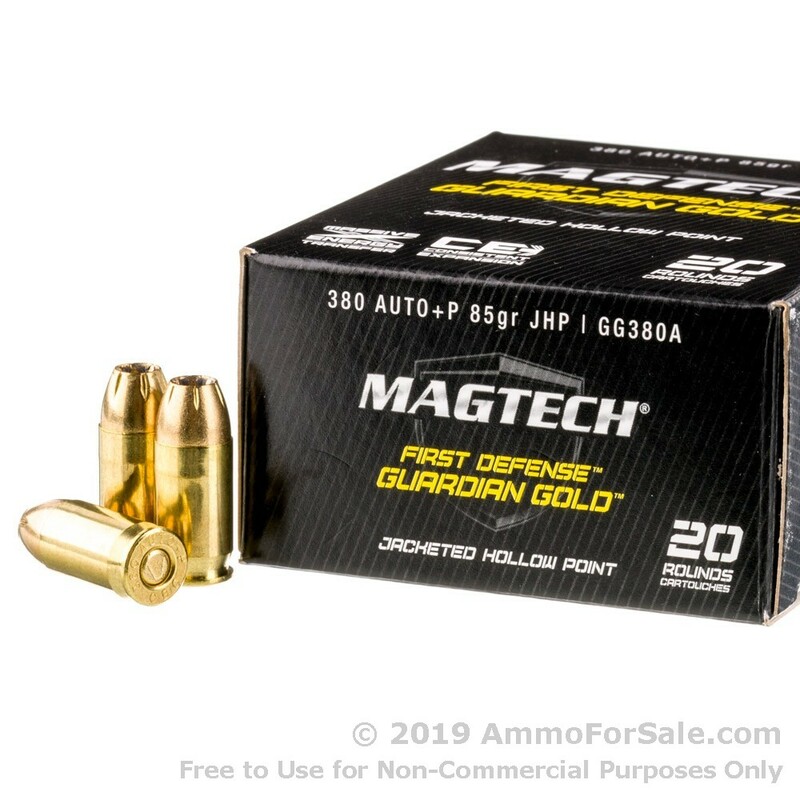 Order a 20-round box today to find out what Magtech’s commitment to value is all about.